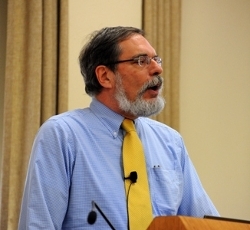 The Steve Leinwand Teaching Grant is designed to provide funds directly to teachers for projects that promote excellence in mathematics education. Grants will be awarded for proposals that focus on designing new curricula, exploring assessment possibilities, enhancing the learning environment, or in any way promoting the acquisition of mathematical power by our students. A selection committee will evaluate the proposals on the basis of how effectively they support the NCTM Standards in the aforementioned publication. Additional consideration will be given to innovation and to the feasibility of executing the plan. This grant offers the opportunity to enrich or approach curriculum in an innovative way and to stimulate creative teaching techniques in the classroom. This form may serve as a draft as you prepare your submission. You may copy and print. A short summary giving an overview of the proposed project and the need for funding supported by data when applicable. Which CT Core State Standards and/or NCTM standards does your project address? Cite the specific standard(s). Include the focus, the intended target audience and the intended impact of the project. This may include materials needed and how the project will be evaluated for effectiveness. Indicate areas of expense, amount, and rationale. rant committee will contact grant awardees with a timeline for article submission. Any Questions? Email the Grant Committee atomicmathgrants@gmail.com!